In a cruel night of football, a 10-man weak Manchester United side was held to a 2-1 defeat away to Wolves. The home side managed to stage a comeback victory after Ole Gunnar Solskjaer’s men secured the opening goal via Scott McTominay. Thereon, it was all downhill for them, as Wolves were rampant in their response, equalizing in the 25th minute through Diogo Jota. The second half was filled with disasters for the traveling side. In a span of fewer than 5 minutes, Ashley Young managed to attain two yellow cards and got sent-off. Following that, Wolves took the lead through a Chris Smalling own-goal, adding insult to injury. The loss has severely jeopardized their hopes for a top-four berth this season. United could have ended the game temporarily perched in the third position, but now stand the risk of remaining in the sixth spot by the end of this week, just above Wolves, who have now defeated them twice in the span of a fortnight. The anger was obvious amongst the United fan-base, with Ashley Young facing the brunt of criticism. Most fans called him to be dropped from the starting lineup entirely and be stripped off the captaincy. In addition to putting on a sub-par performance, it was the fact that his eventual yellow-card tackle was completely unnecessary that has peeved the United faithful. That should be Ashley Young’s last involvement as a regular first team player. A stand out liability out there today and I’m trying to say that nicely. If Pep Guardiola joined Man City and he had Ashley Young, Chris Smalling and Phil Jones as his defenders I can guarantee you that the board would have replaced them within a week for him. To make matters worse for their next Premier League game, both Young and Shaw, the club’s first-choice flankmen, are suspended for the next two matches, Shaw’s arriving upon picking up his 10th yellow card of the season. 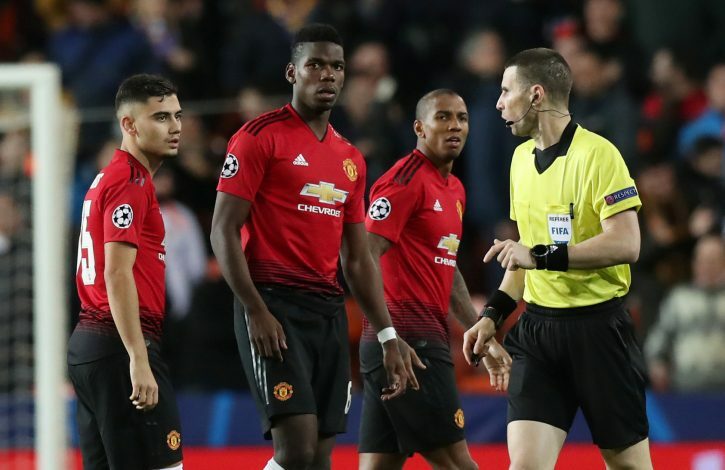 The anger against Young has been brewing for quite a while now, and it took this particular fiasco for the veteran Red Devil to be properly called out. What steps can Ole Gunnar Solskjaer take now?